Dan Byrnes is a former journalist/sub-editor (with earlier experience in advertising/copywriting), and a poet and historian with wide-ranging interests. Also experienced with proofreading. His current four/five websites (offering 350+ pages) are designed specifically for quick information delivery, quick download and quick page print-out. For assistance with: Report writing, research services, manuscript enhancement (including editing, sub-editing, proofreading), freelance journalism, web mastering (but not blogs or graphics creation), assignments, word processing, copy writing, assistance with commercial promotions. Wide range of software available including use of one computer with Windows XP and one computer with Linux-Xandros3 system. Databasing. Genealogical/historical research. Newsletter preparation. Hire of computer time. Rates: $30 per hour or by negotiation for larger projects. 4 July 2006: Launch of new website Merchant Networks – co-produced with Ken Cozens in London, at: http://www.merchantnetworks.com.au/ - a website intended to become a major production in economic and maritime history, dwelling on recent research findings which are to be further followed-up in a large-scale way. May-June-July 2006: Exploring PHP programming packages re better tactics for handling content management system(s) (CMS). Also preparing for re-launch of Merchants Networks website (as below) on its own domain. April-May 2006: Major upgrade of Linux system now using Xandros 3 - now well able to maintain and FTP-to-website a wide range of websites for clients. Excellent new and expanded hard disk storage capacities. April 2006: Major upgrade of Linux system now using Xandros 3 - now well able to maintain and FTP-to-website a wide range of websites for clients. Excellent new hard disk storage capacities. Then to exploring several PHP systems for future developments. Early 2006: As historian, embarking on history research project with Kenneth James Cozens (of London), on merchant networks (London-based and/or British-Imperial 1690-1900). Hopefully with a new approach and at least one “new” or otherwise unmined set of original documents to be assessed. A new, co-written manuscript arising. Early 2006: Notice of extra hyperlinking of website The Blackheath Connection and associated files by websites in Australia, UK and USA including one major website on US President Thomas Jefferson. November 2005: Now maintaining website for Tamworth-based landscape artist Phillip Russell. September 2005: Major new citation of website The Blackheath Connection: In Tom Keneally, The Commonwealth of Thieves: The Sydney Experiment. Milson's Point, NSW, Random House, 2005. Main current projects: Spring 2005: Getting together a better-functioning Linux system - using Xandros2/Linux. New history-writing work on Australian maritime history 1810-1865. 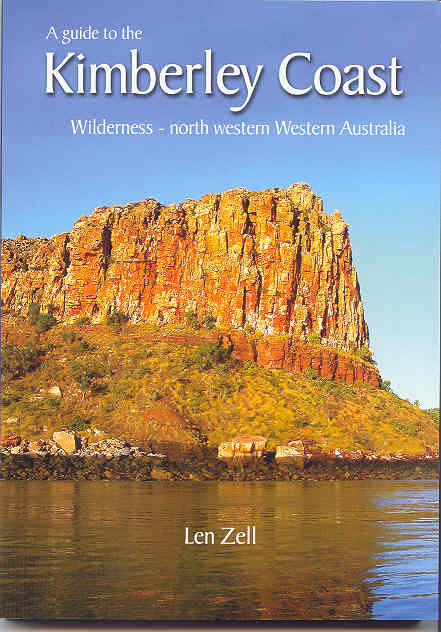 Latest editing work!A major book of eco-tourism for Australia by Armidale marine biologist, Len Zell! Launched in Armidale and Broome in September 2003. His BA majors were in Psychology and History. He trades under the business name: Dan Byrnes Word Factory. Australian Business Number: ABN 27 526 974 374. April 2004: Long poem, Cracktooth, on "grumpy-old-man syndrome", published in April 2004 issue of New England Review (from Armidale). March-April 2004: Hits to all-pages at new URL (exclusive of robots and other Net entities) hit a high of 41,000 monthly, then decline over the Easter holiday period. November 2003: Uploading of early version of new website, HoTM for music demons. (History of Technology of Music). Has specially-designed CSS for more upbeat look 'n' feel. May 2002: Multipage website (remaining under construction) for Stephen and Co., Booksellers, of 65 Pudman Street, Boorowa, NSW, exploring local and regional history, aspects of the southern NSW wool industry, book exchange, second-hand book sales. November 2001: New history website launched, at http://whatson.northnet.net.au/users/merchants/ - (address no longer operating) Merchants and Bankers Listings, on entertaining questions of trade, business and financial dealings in world history from the time of The Crusades to the present. October 2001: Enabling website operations for e-commerce. April 2001, Invited to become part of a regular panel on Thursday nights, 2ARM-FM, a live-radio cultural comment two-hour show with guests, chat, and music. "The Culture Vultures", with Travis Gee and Benjamin Thorn. February, 2001, Compere for segments of Poetzinc readings at venues in Armidale. Continue as webmaster for community broadcasting station, 2ARM-FM, Armidale. September, 2000, Poems "very short love poem" and "The Historian", published in Connecticut USA in Clay Palm Review, edited by Lisa Cisero, first issue of Spring/Summer, 2000. June-July 2000, Newspaper articles on The Blackheath Connection as website history project, in The Armidale Independent, The Armidale Express, The Northern Daily Leader, and also items in Newswrite, newsletter of NSW Writers Centre, and in newsletter of New England Writers Centre. 8-9 April, 2000, Armidale, Compere of readings by writers with New England Writers Centre at Art in a Garden, a major annual arts show presented by New England Arts Society Inc.
12 March, 2000, Begin uploading The Blackheath Connection to the Internet. A large treatment of the history of convict transportation to North America and then Australia, 1718-1810. (Produced with the aid of Word in Microsoft Office 2000 and Sausage Software's HotDog Professional 5.5.) By September 2000 the website achieves a regular 250 hits per week minimum. October, 1999, Poems published by New England Writer's Centre, Armidale, as part of a new anthology of regional writing edited by Yve Louis, Skylines. Book launch: 15 October in Armidale. March-July 1999, Obtained Certificate III in Information Technology (Computing and Multimedia) (VETAB Accredited). Graduated, 1 July, 1999. Early 1999, Managing three websites on a virtual domain: Dan Byrnes' What's On Message Board : http://whatson.northnet.net.au (no longer operating). Early 1999, Completing history book as an overview of convict transportation from Britain, 1717-1810: The Blackheath Connection. December, 1998, launching an add-on feature on Message Board Website, Tourism Business News, or, journalism on regional and other tourist industry matters. Venture not successful. 13 September, 1998 - Launch of a new website via a server operated by Armidale Business Enterprise Centre, The Northern New South Wales Message Board, a comprehensive listing of events and what's on in the region for up to one year ahead. Mid-1997, Judging a poetry competition (contemporary) for Port Macquarie/Hastings Regional branch of the Fellowship of Australian Writers. From March 1997: Several months' stint as journalist with Publicity Unit, University of New England. January 1997, Elected board member, New England Writers Centre. December 1996, Launch of personal home page on the Internet. Mid-1996, Judging a poetry competition (contemporary) for Port Macquarie (Hastings Regional) branch of the Fellowship of Australian Writers. March 1996 - With upgraded computer system, setting up a new operation, Dan Byrnes Word Factory. January 1996 - Elected secretary of the Regional Poets Cooperative (retired, January 1997). Appointed as newsletter editor (till January 1997). 1995 - Completing an Honours degree in History at the University of New England. Graduated BA, March 1995. Hons, 1996. 1994 - Completing a Bachelor of Arts at the University of New England. The result, a double major in History and Psychology. Other subjects included Education, Economics, Economic History. September 1992 - As historian, awarded a writer's project grant by the Literature Board of the Australia Council for the Arts for the completion of a book on convict transportation to North America and Australia. Work continued through 1993. Research on this project continues to the present. The International Authors and Writers Who's Who, 1988. Dan Byrnes initiated the annual Tamworth January Country Music Festival Bush Poetry Contest in 1987. The contest is now recognised nationally. Dan Byrnes also helped initiate the establishment of the coveted national songwriting award, The Songmaker, annually awarded by the Tamworth Songwriters' Association. Aged 63 (in 2011), Dan Byrnes is a poet, freelance journalist and writer, historian and fiction writer who has lived in London, Sydney, Melbourne, and Tamworth and Armidale in northern NSW. The information below refers to print-media activities. November 1991: Publication of major history research work: `The Blackheath Connection: London Local History and the Settlement at New South Wales, 1786-1806,' in: The Push: A Journal Of Early Australian Social History, No. 28, 1990., pp. 50-98. (A journal published by the History Department, University of New England, Armidale NSW 2351). Article written while in Melbourne. 1989-1991: Living in Melbourne, working at a variety of newspaper-based assignments. Some work was with The Macedon Ranges Telegraph, based at Gisborne-Sunbury, and earlier, subediting with the Leader Newspaper Group (Northern Division at Northcote, Melbourne). 1990: Various freelance assignments for Diverse Media, based in North Melbourne, on four magazines: Prime Time, Power Farming, BOAT and Fireworld. Various research material Dan Byrnes has gathered is now with the Mitchell Library, Sydney, and the Australian National Library, Canberra. His articles have been cited in internationally-distributed historical journals and books. In early 1990 was published a long-neglected history thesis by Wilfrid Oldham, now titled Britain's Convicts To The Colonies. (Library of Australian History, North Sydney). The book carries a commentary by Dan Byrnes. 1989: Visit for history research to London, UK. 1987-1988: As a local historian, co-editor with Frank Crosling for Tamworth and District Chamber of Commerce and Industry of an official Bicentennial book, a compilation of local business histories published in November, 1988: Who Was Who In Tamworth Business In 1988. From 1981: Worked on a community free weekly paper, The Tamworth Times, and then a regional daily newspaper, The Northern Daily Leader, (1983-1986). Dan Byrnes also for a time edited Northern Magazine (Tamworth). His articles have also appeared in The North West and Hunter Valley Magazine (Gunnedah). The work at The Tamworth Times, from 1981 a newly-established community free newspaper which still survives, was as an all-round, non-sports journalist with particular reference to covering local government. From 1979 (an ex-musician having been active 1965-1973) he was deeply involved in the establishment of community radio station 2YOU-FM in Tamworth, as initial programming convenor and a board member, later vice-president, of the Tamworth Broadcasting Society Ltd., which gained the licence for the station. Between 1983-1987 he mounted many programs on air on 2YOU-FM, including current affairs, music and non-music interviews, music shows of every description and poetry segments.